Hi what would be the best product to use on asian cockroaches? They are under leaves and fly when racking leaves. Any outdoor contact insecticide will work. 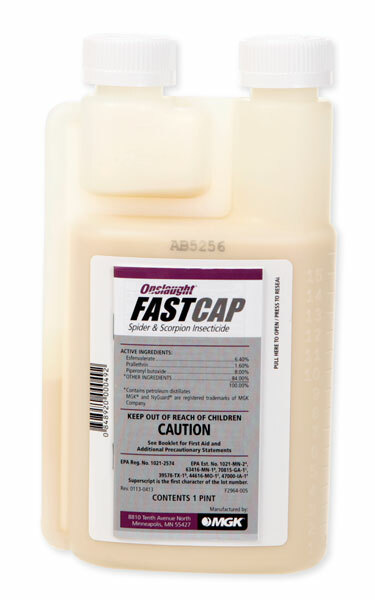 My favorite outdoor product for "hard to kill" insects such as Asian Cockroaches is Onslaught Fastcap. This product is microencapsulated (long lasting) and fast acting. It's best to reapply after leaves have been raked and removed. Overspraying the leaves will give some control, but it's best to get a layer of Onslaught down first and then allow the leaves to fall, then reapply over the top for best control. Reapply every few weeks or as needed.